Eventbrite – New Shifts presents Life’s a Pitch! 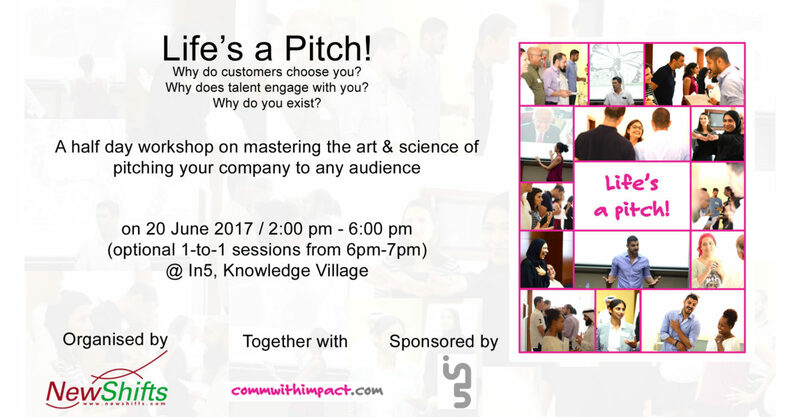 – Tuesday, 20 June 2017 at in5 Innovation Centre, Dubai. Find event and ticket information. For more information, view the video from our previous events. « How initiate career change?